Tired of those Loads switches failing? 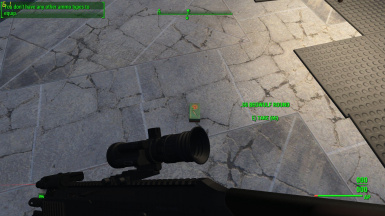 Then download this small mod to fix those pesky Loads Ammo Switchers. Makes the switches much faster at switching calibers, they give better feedback on issues and most importantly they don't stop working. BLS - Better Loads Switchers VIS Patch I use the Weaponsmith extended overwrite and replacer when installing, haven't tested otherwise. Thanks again TheTalkieToaster for an incredible mod! BUG_FIX: Fixes major bug in 1.2.1 where ESP was wrong. Also fixes some found script issues related to an in game delay of the player equipping the weapon, which would throw a papyrus error on silently updating the cache. Special Thanks to hunterharp for flagging the issue! This adds the backend cache system to the ammo switchers making them much faster than 1.1 or Loads. Standard version. Adds better Previous and Forward Loads Cycle switches. I just wanted to say thank you to TheTalkieToaster for an absolutely amazing, must have mod, Loads of Ammo - Switchable Ammo Types. Also, if you like either mod please endorse them, it helps other people find them too :). Better Loads Switchers (BLS) is really small but really cool mod. After a playthrough with Loads, I can't imagine another without it. If you have used it with New Calibers By BrowncoatGarrus and/or Weaponsmith Extended by Gambit77 then you know what I'm talking about. There was one problem though. Those DAMN ammo switchers. They were slow, they didn't give you good feedback as to the problem and more importantly they could just stop working! If that happened it was the worst, say goodbye to that gun or ammo switching on that gun. 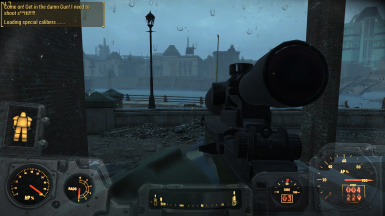 This mod fixes all of those problems. After a short loading time on a gun, the switches can be used to swap between calibers almost instantly (just not if you double press, if you do the cache may still be loading) until you switch to a new gun. With this mod you also get better feedback to the problem and it will actually FIX any "broken" guns that can't hotswap. I was able to reverse engineer the script and make them more stable and add better error messages. Below is a video comparison of standard loads swirches vs BLS switch. MUST HAVE F4SE installed correctly. 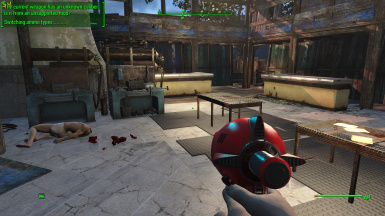 Very small mod should have no compatibility issues if you get the standalone version. If you get the overwrite patch just be aware an overwrite is possible. Does overwrite the Loads's Next and Prev ammo switcher. I doubt anything else modifies those but I guess ya never know. 1. Download with Nexus Mod Manager and activate. 1. Download the file manually. 2. 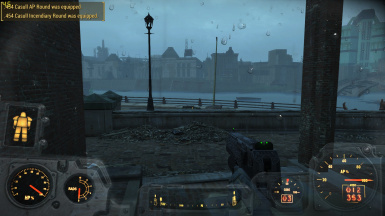 Then use your favorite .7z, .zip, .rar program to extract the desired modules from the Data folder in the archive to your Data folder ie: C:\Program Files (x86)\steam\steamapps\common\fallout 4\Data. 3. 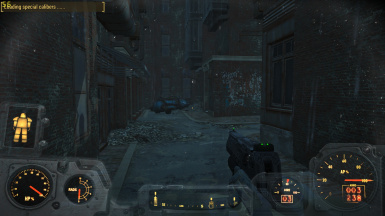 Then in the Fallout 4 launcher select the hidden plugin manager and select the modules to activate them. 1. 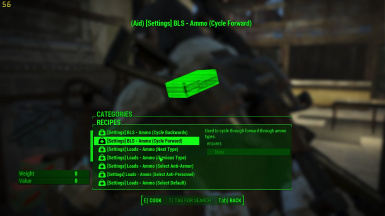 Delete any file named "Better Loads Switchers-*.esp" from your Fallout 4\Data folder. 2. Delete any Folder named "BetterLoadSwitches" from your "data/Scripts/" folder.